First time in Thailand? You’re in Bangkok the capital city of the land of smiles. Here’s our bucket list of the top 10 essential must-do experiences! Have fun! 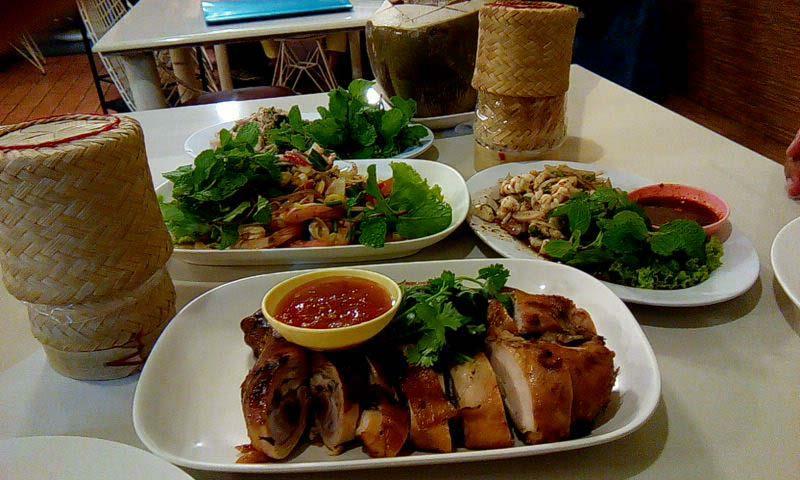 Thai Cuisine is famous around the world for diversity and distinctive flavors. Don’t be afraid to experiment and try different dishes. Restaurants in tourist areas usually have menus in English with a description of the dish and its ingredients and will ask you how spicy you would like it. Medium-spicy is usually the safest choice at first. Menu choices include rice dishes, noodles, spicy salads, soups, curries, stir-fries, meat, seafood, vegetables, and fruit. 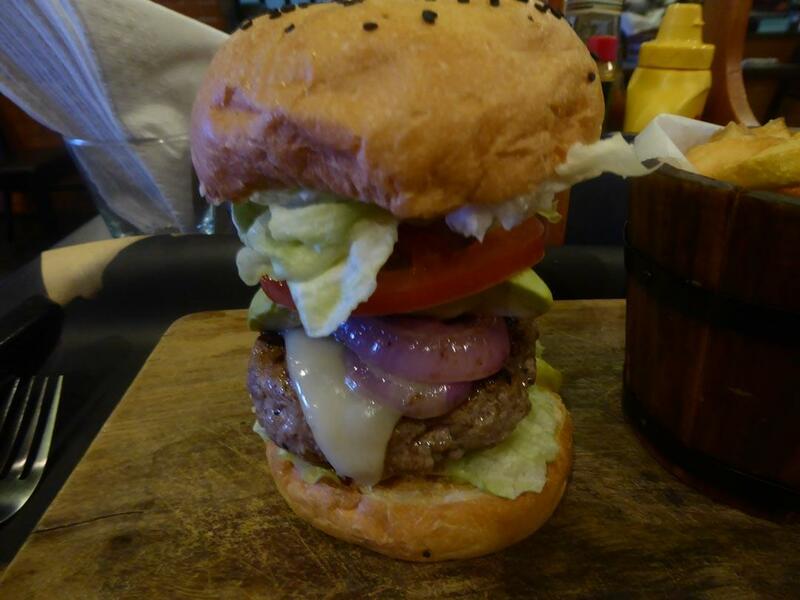 Vegetarians are well catered for with vegetarian menu sections and a growing number of vegetarian/vegan restaurants. 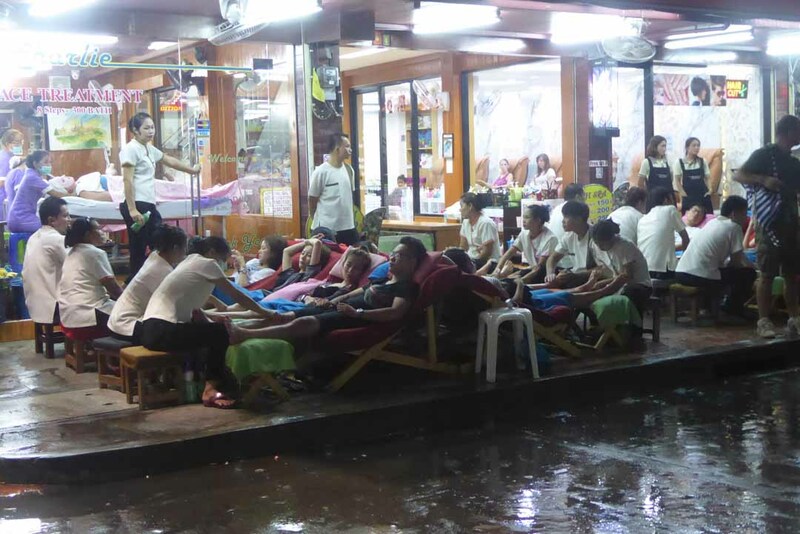 Massage places are everywhere in Bangkok’s tourist areas offering everything from foot massage through to full-body massage for around 200-400 baht. The most famous place is the traditional Thai massage center at Wat Pho where you get a massage by professionally trained staff who have graduated from the temples training school. Expect to pay between 260-520 baht depending on the type of massage and duration. The tuk-tuk is one of Bangkok’s most recognizable symbols, it’s dirty, noisy, open to hazardous fumes, overpriced (for tourists), unstable, and many drivers take part in tourist scams, though they are still extremely popular with tourists who love the novelty value. Riding in a tuk-tuk is more of an experience than a good way of getting around as taking an air-conditioned meter taxi is nearly always cheaper. 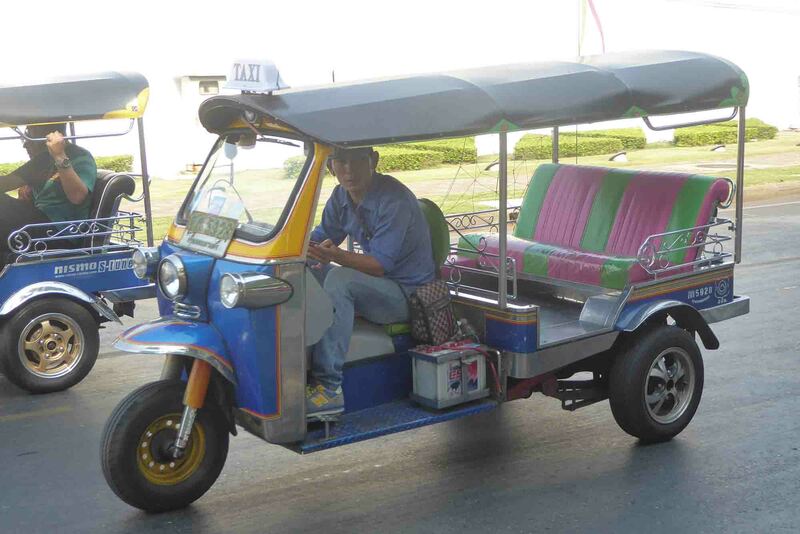 A ride in one is a must do in Bangkok, but hold on tight, bargain hard and refuse any offers of shopping tours. Muay Thai is a national sport in Thailand. Regular boxing nights are held at the cities professional boxing arenas at Ratchadamnoen Stadium though, special admission prices for foreigners are high at 1000-2000 baht. However, you can watch professional fighters slug it out for free every Sunday at Super Champ in Khaosan or on the last Wednesday of the month from 6-8pm at MBK fight night, a pop-up ring located outside the MBK mall. If you get bored with Thai food, don’t worry. Bangkok isn’t just about Thai food. Every kind of cuisine is here with some excellent restaurants at value for money prices. Don’t be boring and eat in your hotel, get out there and explore! 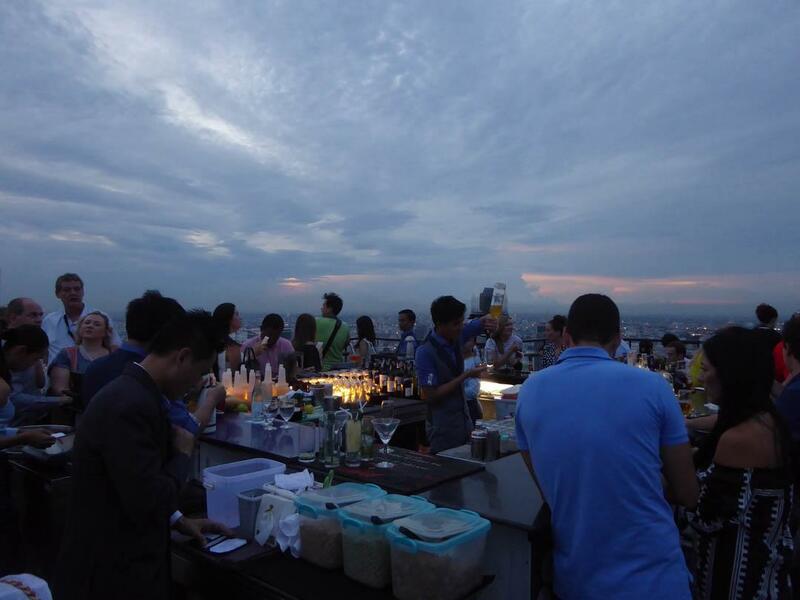 Bangkok has many rooftop bars which offer a classy, romantic night out under the stars with unforgettable views of the city or the riverside. One even has a swimming pool. There are strict dress codes so don’t turn up in your flip-flops, swimming shorts, and beer Chang singlet. Drink prices are expensive but not always …. The Chao Phraya River, the River of Kings (in Thai) flows through Bangkok passing many interesting attractions along the way. Taking a boat trip is a good sightseeing experience with the city looking different when seen from the river. 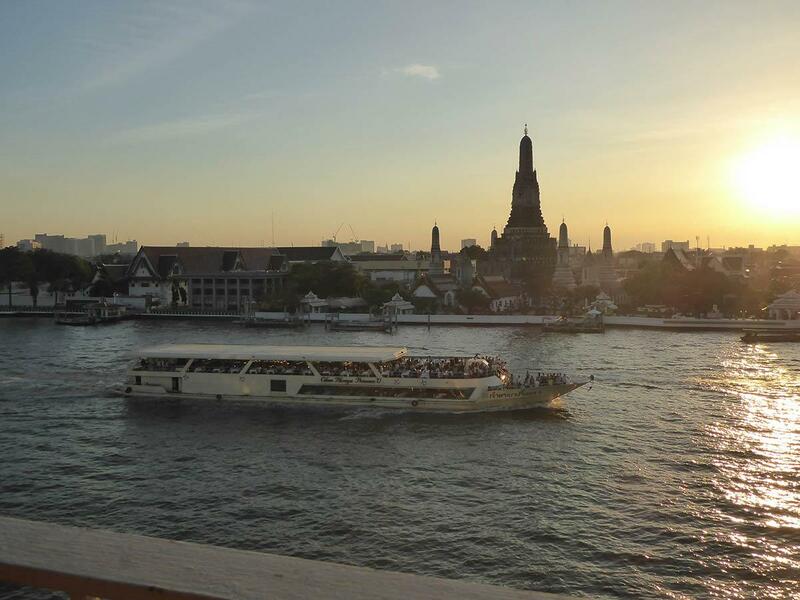 In the evening, there are several popular romantic sunset dinner cruises that sail up and down the river making a slow circuit of the riverside sights between Taksin Bridge and Krung Thong Bridge passing Wat Arun, The Grand Palace, Memorial Bridge, and Rama XIII Bridge. This is a great way to see the riverside sights from the water after dark. There is a choice of large river cruisers through to smaller more intimate old converted wooden rice barges. Most of the top riverside hotels also offer their own cruises. Entertainment ranges from live bands playing western music to Thai cultural shows while dining choices include International buffets, set menus or a la carte dining, so be careful to choose a cruise that suits your preferences. The cruises leave between 19.00-19.30 nightly lasting 2-2.5 hours and usually from the River City pier or nearby. Costs vary from a small fee for the cruise plus a bill for whatever you order from an a la carte menu through to fixed price buffets or set menus. In general, expect to pay between 1500-2000 baht per head and up to 4000 baht for the top hotel or gourmet food cruises. If you walk down the Khao San Road in the evening you are bound to notice the food carts selling a variety of fried creepy-crawlies. This may disgust you or tickle your taste buds. If you’re curious you may want to know that the delicacies on show include grasshoppers, bamboo worms, and silk larvae, as well as crickets, weevils, dung beetles, ant queens, scorpions, tarantulas, lizards, baby frogs, and baby snakes. All of them come salted along with a spicy dip and are supposedly highly nutritious. A mixed bag will set you back 100 baht, while some items are pricier. 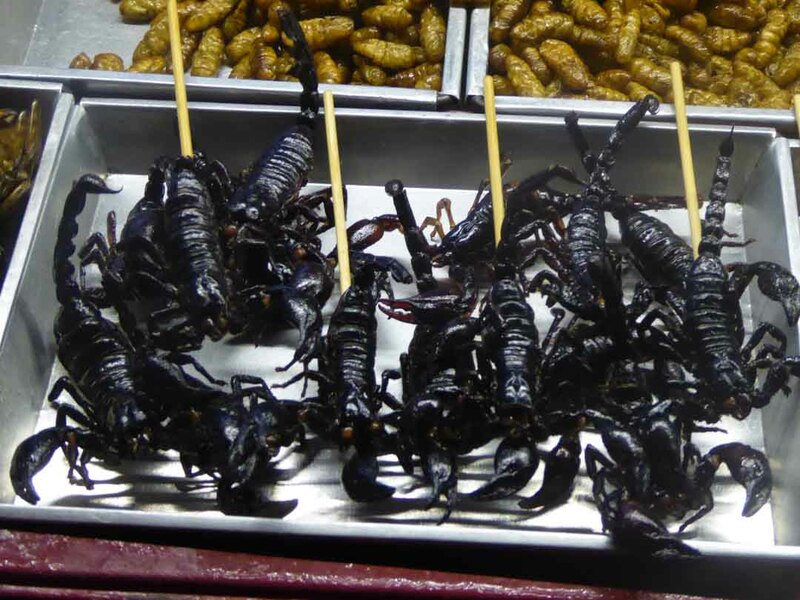 Scorpions are 50 baht a piece, snakes 200 baht, and tarantulas 400 baht or you can settle for taking a photo for 10 baht. As an adventurous tourist remember that it’s your duty to eat them and not just pretend to. The picture or video will impress your friends back home. Bangkok is notorious for its buzzing raunchy nightlife but has evolved over recent years to offer so much more. 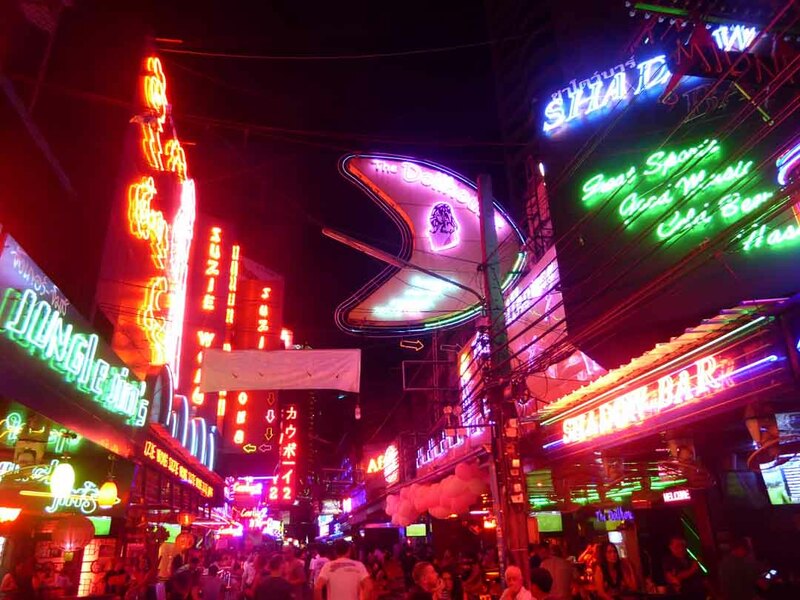 Trendy rooftop bars, nightclubs, cocktail bars, and live music bars join the old backpacker’s party zone of Khao San and the still raunchy red-light districts of Patpong, Nana, and Soi Cowboy along with the gay party zone of Silom. A cultural show is a performance featuring traditional Thai music and dance designed for a tourist audience. The performances range from simple shows in a restaurant to full-blown theatre extravaganzas. Don’t just spend all your time in the city. There are some great places within easy reach of Bangkok. The most popular destinations are the ancient city of Ayutthaya, the Bridge on the River Kwai and the floating market at Damnoen-Saduak. You can visit them independently or more conveniently as part of a half or full day organized tour.